In these series of panels, presentations, and demos, we'll be exploring the ways interactive voice technology has shaped industries and artists. You'll also get to experience these innovative voice skills live and in person. How can voice interactive technology influence the creative process? How can it be used to help us live, work, and play more creatively? How can we use voice A.I. to build new, genuine, and vibrant experiences? In our premier event in the series, we'll be delving into voice A.I. 's applications in cases where our technology helps us open up our creative horizons. Umang Shah, Principal at Inovari. Umang Shah is an American marketing executive. He is the leader of Inovari, LLC an advisory consultancy focused on marketing, innovation, and strategy for startups. He currently works as acting CMO for Flock U, a startup aimed at marketing towards millennials. Umang Shah has been a frequent speaker at numerous conferences including eBev, AdWeek Asia, and Social Media Marketing World. While working as Walmart's Director of Social Strategy, Shah was named as one of Brand Innovators' 40 Under 40 in New York City. In 2014 he moved to Campbell Soup Company as the Director of Digital Marketing & Marketing Innovation, where he was named to the Adweek 50 List of Vital Leaders in Tech, Media and Marketing. Prior to Campbell's, Shah was social media strategist for Microsoft. Nick Fortugno, Lead Artist, Frankenstein A.I. Nick Fortugno is an interactive narrative designer and game designer based in New York City. Nick is a Lead Artist on the Frankstein A.I. project, and has worked extensively on interactive narrative projects in a variety of formats. He is founder and principal of Playmatics, a interactive development company. Playmatics has created a variety of digital and real-world experiences for organizations including Red Bull, AMC (such as the CableFAX award winning Breaking Bad: The Interrogation), Disney, American Museum of Natural History, the Corporation of Public Broadcasting, the Federal Reserve Bank of New York, and the Red Cross/Red Crescent. For the past ten years, Fortugno has been a designer, writer and project manager on dozens of commercial and serious games, and served as lead designer on the downloadable blockbuster Diner Dash and the award-winning serious game Ayiti: The Cost of Life. Nick is also a co-founder of the Come Out and Play street games festival (www.comeoutandplay.org) hosted in New York City and Amsterdam since 2006, and co-creator of the Big Urban Game for Minneapolis/St. Paul in 2003. Nick has taught game design and interactive narrative design for 15 years at institutions such as Columbia University and the Parsons School of Design, and has participated in the construction of game design and immersive storytelling curriculum. Some of Nick's writing about interactive narrative can be found in the anthology Well-Played 1.0: Video Game, Value, and Meaning, published by ETC-Press. Michael Lutzky, VP of Business Development at NPR / Head of NPR’s Voice Working Group. Michael focuses on forward-thinking opportunities and partnerships that keep NPR and NPR Member stations at the leading edge of news, storytelling and innovation in broadcast, digital and emerging media. 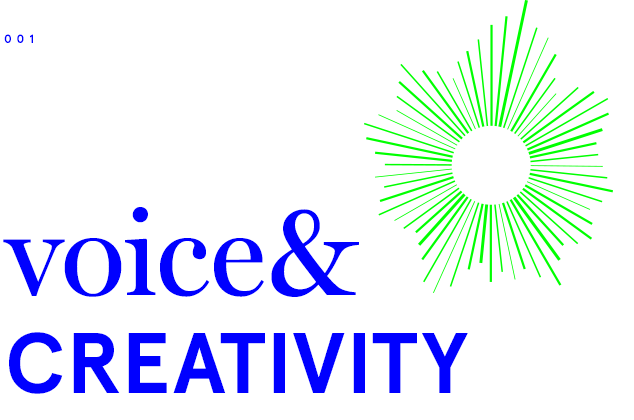 This includes voice assistants, smart speakers, the evolution of audio search, voice sentiment and AI integrations – all to maximize the impact of more than 350 minutes of fresh, topical, relevant content produced every day and create new opportunities to bring the ethos and creativity of NPR to new audiences by way of emerging platforms. His work includes setting the strategy for NPR’s activities and investments, scoping and securing partnership opportunities and deepening NPR’s relationships with industry leaders such as Apple, Google and Amazon. In addition, Michael has helped NPR attract new licensing opportunities for content and IP through film and TV options, merchandise, new distribution channels and equity participation in startup companies. Prior to NPR, Michael was a strategy consultant. He is ex-McKinsey with an MBA from the Tuck School of Business at Dartmouth. Prior to his business career, Michael spent 15 years as a photojournalist, primarily at The Washington Post. During his journalism career, he was nominated four times for the Pulitzer Prize (though regrettably never won) for work covering conflict in Sarajevo and the Balkans, the Middle East during the second intifada as well as urban issues of crime and drugs in neglected public housing high rises in Baltimore and the return home from Iraq and Afghanistan – and reintegration into society – of young soldiers, now amputees. Will Hall, Chief Creative Officer at RAIN. Will is now the Chief Creative Officer at RAIN, leading combined teams of strategists, engineers, and designers. He serves on multiple advisory boards on Voice and emerging technology, and has been declared the "winner" of Pinterest. Over the past 14 years, he's worked at agencies with key clients like Amazon, Adobe, Facebook, Sony, Adult Swim, Puma and others. He is also an adjunct professor of Design at NYU. Marty Swant, Technology Reporter at Adweek.